The global market for rehabilitation equipment has been growing alongside the need to improve the quality of life of disabled, elderly, or sick persons. Rehabilitation equipment are used by rehab nurses, physiotherapists, and medical experts in rehab centers. Healthcare asylums are also ardent consumers of rehabilitation equipment, thus, propelling demand within the global market for rehabilitation equipment. The government has been offering incentives to the development of rehabilitation centers which has enhanced the growth prospects of the global market. Furthermore, the rising incidence of mental trauma, downs-syndrome, depression, and spinal injuries has also aided the growth of the global market for rehabilitation equipment. Hospitals and healthcare centers have undergone key infrastructural changes over the past decade, and rehab equipment is now a part of the basic infrastructure of these establishments. The healthcare industry has been steadfast in adopting the latest technologies for the improvement of patients’ health. This has given an impetus to the growth of the global market for rehabilitation equipment over the past years. However, the services offered at rehabilitation centers are expensive, and admission to these centers is often preceded by cumbersome processes. Besides this, the lack of awareness about the types of facilities offered at rehab centers has also hampered the growth of the global market. North America consists of ardent rehabilitation centers, and this aids the growth of the regional market for rehabilitation equipment. Furthermore, markets in Europe and Asia Pacific are also trailing on a positive growth track over the past years. Rehabilitation equipment plays a significant role in improving the quality of life of the sick, disabled, injured, and aged population. A comprehensive range of rehabilitation products used by physiotherapists, speech therapists, rehab nurses, occupational therapists, and other professionals is gaining demand, promising the expansion of the market. By product, exercise and mobility, grooming and dressing aids, cognitive therapy devices, foot stools, bathing equipment, evaluation supplies, orthopedic soft goods, hot and cold therapy, heel and elbow protection, cushions, and lymphedema products can be the key segments of the market. 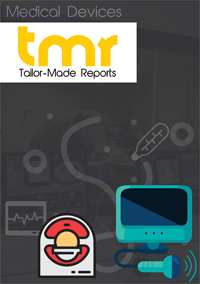 In terms of end users, the global market for rehabilitation equipment market can be segmented into home care units, hospitals, rehabilitation centers, clinics, and physiotherapy centers. The hospitals segment is expected to account for a major share in the market. The growing geriatric population, beneficial reforms in healthcare, and increasing number of disabled persons across the globe have been responsible for the growth of the market. The high prevalence of chronic diseases and disorders among the global population will also necessitate the use of rehabilitation equipment. Moreover, as the demand for physiotherapy has been soaring, the unmet needs of the aging and disabled populace will result in an upsurge in the demand for rehabilitation equipment. On the contrary, lack of awareness about rehabilitation treatment and the high costs of installation and maintenance of these equipment might inhibit the growth of the global rehabilitation equipment market. However, significant opportunities will arise from the increasing focus of several manufacturers on the development of cost-efficient solutions. Rehabilitation is being increasingly acknowledged as a crucial stage in the recovery from various health conditions. As a result, a number of hospitals and healthcare providers are increasingly offering rehabilitation services. For instance, the U.S-based Sarasota Memorial Hospital inaugurated its newly completed rehabilitation center on 1st April, 2017. The center will enable patients of stroke, traumatic spinal cord and brain injuries, neurological disorders, amputations, and mobility conditions to attain faster recovery. The rehabilitation center features an outdoor mobility garden for patients practicing on walkers, wheelchairs, and canes, along with ample physical therapy spaces furnished with sophisticated equipment. Product innovation has also been characterizing the competitive landscape of the global rehabilitation equipment market. For example, in April 2017, KINESIQ, the premier developer of balance and motor capacity improvement exercise equipment meant for rehabilitation purposes, provided its KINE-SIM device to a French rehabilitation center treating 3,500 patients. By geography, the global market for rehabilitation equipment can be segmented into Asia Pacific, North America, Latin America, the Middle East and Africa, and Europe. North America and Europe are likely to register strong growth over the forecast period, thanks to greater patient awareness, growing incidence of substance abuse, and large disposable incomes of the people in this region. Europe is being propelled by the rising governmental focus on safe handling of patients. This region is also home to a large number of market players. Asia Pacific also possesses vast growth potential. This region might represent a considerable portion of the global market, driven by expanding healthcare expenditures, rising government initiatives, and a wide patient pool.